The journey was approximately 6 hours drive, stopping in the Nebraskan town of Ogallala to gas us and grab a bite to eat. I exchanged pleasantries with the gas store cashier, who asked where I was from and what I was doing in his neck of the woods. He wished us well in our hunt for storms and we were on our way. We pulled in briefly for lunch at the McDonalds on "Big Mac Road", where there obviously was only one choice I had to pick. Yes, I've eaten a Big Mac on Big Mac Road. We arrived in Colby after what seemed like an age of driving. We had learned our lesson from the Pine Ridge chase and made sure we fuelled up as soon as we hit Colby. Just around the corner from the gas station, we found another McDonalds, where we sat and awaited initiation (with a milkshake in hand, of course!) The initiation did not take long to get going and once started, it went up explosively. It sort of reminded me of the moderate risk day in Nowata, OK, towards the end of last year's chase, where the convection strength was visible to the naked eye, rocketing upwards and ballooning outwards rapidly. Once it appeared on the radar, we set east to chase. Ideally we wanted to get out in front of it. A slight misdirection put us on a south road, so a bit of navigating was needed to get back on the east road and in front of the line. We pulled back east at a town called Gem, before holding our position just west of Hoxie. We saw the cells starting to line out, but the hail markers on the storms showed they were producing sizeable hail - up to 2 inches in size. The cells took a northeast track, but did so very slowly. More cells were forming at the start of the line, which ruined our hopes of a discrete supercell developing. That said, we saw frequent lightning and some nice structure developing. We heard from Daniel Gregory that he would be heading our way and then down south to Oakley to observe the structure, but we didn't get the chance to meet at this point. 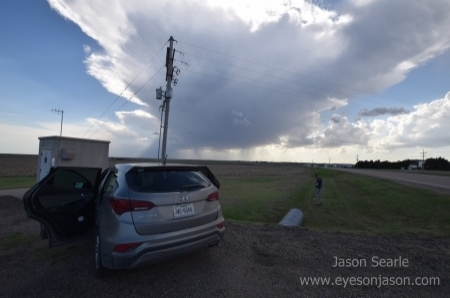 Feeling that our chase day was in vain, we decided to drive through the hail core, just to tick it off our list. Hail was reported to be only 1.5-2.0 inches in size, so felt that we could manage this easily. Heading west, the core punch (driving through the area of the storm where precipitation is strongest) entertained us at least. Once we had been through the core (and contemplated coring it again), Olly suggested that we head south to Oakley and observe some of the structure. Adam and I decided that this would be a great idea. On our way, we saw some frequent lighting from one of the cells to our west, so a group decision to pull over was made. Some of the photographs were amazing, capturing lightning on nearly every shot. The gust front also kicked up a lot of dust, causing a dust storm to occur. Our phones collectively buzzed and lit up, as emergency broadcast information warned us of this threat. 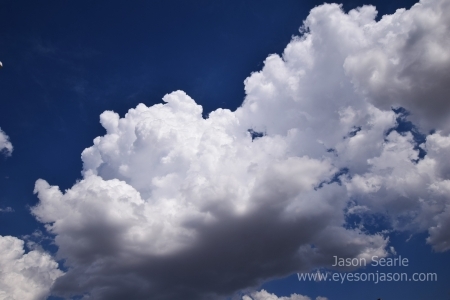 We continued to photograph this storm until the strong winds kicking dust our way hit. We managed to see a gustnado within this dust storm, but did not want to stick around too long as visibility was dropping rapidly. Daniel was up ahead and suggested we drop south at Grainfield in the hope to get out in front of the line that our storm cells had formed. A short drive down pass Grainfield to Gove City had Daniel turn around and head back to Colby. We decided to sack this off and head east to Hays, where we planned to have dinner and stay the night. 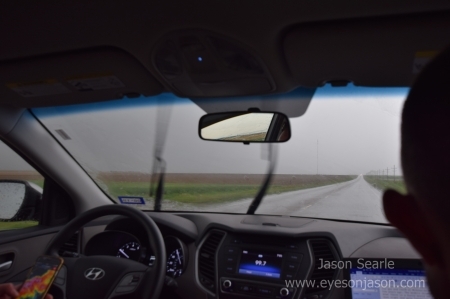 Throughout our drive, the lightning from the line of storms ramped up exponentially. What started with the occasional CG lead to a barrage of approximately a strike a second. We also thought a scraggly wall cloud formed in front of us, but this soon dissipated. We figured that we were close to the leading edge of the storm, so we pushed on. 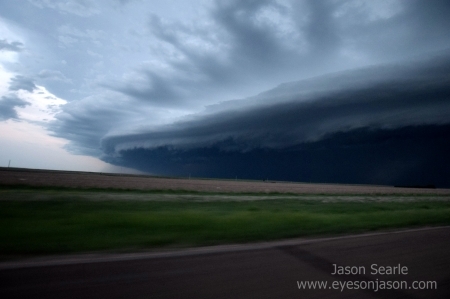 I am so glad we did as the shelf structure that fronted this line of storms was awe-inspiring. 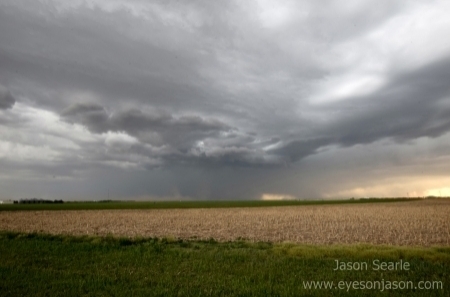 Some of the structure from this storm, coupled with the intense lightning barrage salvaged us a chase day. Thankfully, there was a rest area ahead of us, so we pulled over and started taking a few images (amongst a good 30 other chasers that appeared out of nowhere). I also utilised the opportunity to "go live" on Facebook for the first time - sharing this experience in real time with my Facebook friends as we passed through WaKeeney. Thankfully there were opportunities to pull in front of this shelf and take plenty of photographs, many of which I will share when I am back from the chase this year. Eventually, we arrived in Hays and checked into the Super 8 (The very same as the one I stayed in with Netweather last year...you know, the one that stunk of cannabis?). This year it smelt so much better and has to be one of the nicer hotels we have spent the night in this chase. Once checked in, with food on our mind, our regular trip to Applebees occurred whilst the storm passed overhead. Our plan for tomorrow? A marginal risk in eastern Kansas. It might not be much, but it is at least a risk. We seem to be nailing this storm chasing thing - with a lot more success than I had expected. It's a shame this is going to be my last chase season (for a very long time, if not, ever...) as it would be interesting to see what would be capable if we had a decent season to chase!